We’re all human beings and therefore we go through different phases in our life when we’re not at our 100% best at work. Relationships with our colleges, managers, family, working conditions, workload, etc. : all these factors affect us and therefore affect our work. Lot of companies focus their efforts on measures to attract talent and very little on the teams they already have. Everyone more or less understands the reasons why people want to join a company: money, technical challenge, interesting projects, colleagues’ reputation, etc. But what happens after the people join your company? How do you keep the thrill? The productivity? How do you retain people? Moreover, startups face an additional challenge: there will be spikes of work where the pressure will be really high. How do you avoid burnout? How do you manage to keep people happy and productive? If you search Google for reasons why people quit their jobs, you will find millions of posts listing the same reasons: lack of vision, lack of recognition, bad managers, lack of trust, etc. All these reasons can be summarized as “Burnout”. I’m pretty sure that very few people leave companies solely because of money. There is a predominance of dysphoric symptoms, such as mental or emotional exhaustion, fatigue, and depression. The emphasis is on mental and behavioral symptoms more than physical ones. The symptoms manifest themselves in “normal” persons who did not previously suffer from psychopathology. Decreased effectiveness and work performance occur because of negative attitudes and behaviors. So, the solution is easy, isn’t it? Let’s remove burnout and that’s it. We have to pay attention to which workers are exhausted or showing burnout symptoms, and then send them home to get rest and that’s it :D. I’m pretty sure this sounds familiar to you, but you really think that this is it? This is just a palliative measure to one of the symptoms, but you’re not healing the disease. If you really want to remove something, you have to know the real reasons behind burnout and then be proactive and add preventative measures. Experienced workload and time pressure are strongly and consistently related to burnout. Role conflict and role ambiguity. Role conflict occurs when conflicting demands at the job have to be met, whereas role ambiguity occurs when there is a lack of adequate information to do the job well. A lack of social support. Lack of support from supervisors is an especially crucial factor, even more so than support from coworkers. Hierarchies, operating rules, resources, and space distribution. All of these factors contribute to burnout, particularly when they violate basic expectations of fairness and equity. Violation of the psychological contract is likely to produce burnout because it erodes the notion of reciprocity. Burnout is higher among people who attribute events and achievements to others in power or to chance rather than to one’s own ability and effort. People who display low levels of hardiness (involvement in daily activities, a sense of control over events, and openness to change) have higher burnout scores. Those who are burned out cope with stressful events in a rather passive, defensive way, whereas active and confrontative coping is associated with less burnout. I’m sure you’ve experienced one or several of these factors, right? Once we know the factors that contribute to burnout we can start to put in place measures to alleviate and prevent burnout. What Do We Do at ShuttleCloud to Prevent Burnout? After years building and working with almost the same team at ShuttleCloud, we’ve been learning and applying measures in different areas. People need to feel fulfilled, that they’re improving or growing as time goes by. As we’ve already shared, learning is part of our culture. We try to align each other’s interests with the company’s interests, or the company’s ones with each other’s. Probably the best example is how the company is helping and supporting Ana, our office manager, to become a Data Scientist. Someone needs to improve her English. One of her goals will be that, but since this is a mutual objective, she improves her english and the company provides her all the things she needs to succeed, such as English classes. It can be the case that the team needs to learn something new, for example a new programming language. If the person is interested in learning it, the objective for that person could be making something in that language, teaching it to the team, etc., and for the company to provide everything he/she needs to do it: books, training, time, etc. Perhaps someone would like to switch his/her career towards management. Then her objective could be to manage a project or a feature, and the objective for the company will be to facilitate everything so that she can do her best, such as providing a mentor, giving access to information, etc. It’s very important to realize that people need to explore and experiment. At ShuttleCloud we strive to work in a positive and healthy environment where the trust in the people around is about everything, and this starts with the managers. It’s vital that people feel free from fear, respected and with absolute freedom to speak up–that’s what is known as “psychological safety”, from Wikipedia: is a shared belief that the team is safe for interpersonal risk taking. In psychologically safe teams, team members feel accepted and respected. When psychological safety is present, team members think less about the potential negative consequences of expressing a new or different idea than they would otherwise. As a result, they speak up more when they feel psychologically safe and are motivated to improve their team or company. Improves likelihood that an attempted process innovation will be successful. Increases amount members learn from mistakes. We’ve always understood that this type of environment is really important, even before knowing its name. We’ve iterated our processes and the way we do things many times due to the received feedback. In the meetings we encourage everyone to participate. We have specific meetings to talk about what to improve, not only technical things but also company matters. The reality is that normally when any team member doesn’t like something, he/she speaks up openly. From my point of view we’ve achieved this by being inclusive and critical with ourselves, by being part of the team, whether a manager or not. Everyone makes mistakes. But when the managers admit theirs openly, this conduct helps team members to remove stress when they make errors. Obviously, the first step and most important is to develop the mindset that making mistakes is normal and it shouldn’t be punished or met with negative criticism. If you didn’t know it, go to Wikipedia, read the whole article and come back here later ;). On top of this, teams must have one characteristic that in my opinion is crucial. They must be a real team, and supporting each other is the most important part. “Research has shown that receiving support from colleagues is a robust antidote to burnout” from the book Give and Take, by Adam Grant. So it’s important to build a work environment, a culture, where people help and ask for help. Stress this a lot in the culture, in your daily meetings. For example, when a task starts getting complicated and people keep saying, “no, no I don’t need help, this is really difficult to be split, etc.” — this is the moment to start putting measures in place: for example, force pair programing. There is evidence that helping others reduces stress and increases our happiness. So you should enable mechanisms/processes so that people can invest time in others. For example: when facing a deadline or a priority task, we tend to keep people focused but we should be careful on how we do it. It shouldn’t be a problem if the reason behind this is helping others in a task. It’s important that people stay focused, of course, but be really careful. If you reprimand this helping, then you can make people feel confined and they won’t dare to help others, increasing stress and reducing shared knowledge. On top of that it has an effect on the whole team, because if someone feels that no one helps him, then his trust and commitment with the team will be reduced. “When people focus on others, they’re less likely to worry about egos and minuscule details; they look at the big picture and prioritize what matters most to others.” (Give and Take, by Adam Grant). My team has the same information I have. I’m 100% transparent with them. Every problem that happens they know about it, everything I know about the company, my team knows. We all are grown-up professionals, and it’s a bit childish to think that it’s better not to communicate something and hide it just in case people don’t know how to handle it. If you’ve created a culture where there is psychological safety, whenever there is a doubt, people are going to ask, criticize whatever they don’t like or don’t understand, etc. This is the way to communicate things, talking and resolving the doubts, because for sure there are going to be doubts and the information is always going to come out. So hiding things is dangerous and negative. It builds a culture of mistrust, gossip, misunderstandings, etc. that don’t go anywhere and ends up affecting all interpersonal relationships in the company. I understand the concern that some companies have about conveying some things, but the concern should be about conveying them poorly, not about conveying them. Sometimes people are wrong due to bad information, misinterpretation, lack of vision, or lack of perspective, but sometimes they’re absolutely right. Speaking up without fear and with clarity help to avoid these issues. A key part of feeling well in our work is to feel well in our personal life, and although we can’t fix every personal problem each of us has :), a company at least can help avoid our work becoming a problem in our personal life. Nowadays a lot of jobs can be done remotely or in different schedules. 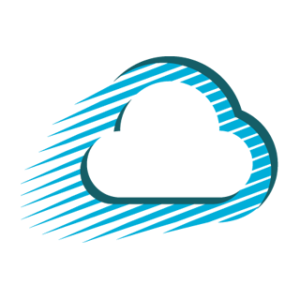 At ShuttleCloud we have free schedule. If you want to go running at 12:00, as I do, perfect. If tomorrow morning you can’t work because you want to see your children reading (playing the guitar for example), or you want to see a relative that has come to the city, it’s all good. The only condition is that you have to communicate it to the team so that we can be organized. NO. A lot has been said about 1-1 meetings. You’ll see thousands of posts saying ”you have to have 1-1 if you want to be a good manager” and very few explaining what to talk about and what’s the point of them. If there is something good about them, it is that they allow you to know the problems a person is going through, her concerns… and there is where we can make a difference as managers. Because when you know the personal situation of each one, you understand when you need to have more patience, when someone is more motivated or unfocused, why he/she needs more free time, etc. Sometimes the only way to help them is understanding, having empathy, but a lot of times that’s more than enough. Another important point are vacations. For most companies, vacation is just an administrative processing, a formality. Best case scenario, they look at them as a way of resting, but do any of them analyze the results of vacations? Do any of them analyze how many people use all the days? Only half or even fewer? Do the people disconnect? On top of that, a company must use vacations to become stronger, perhaps by finding key dependencies, lack of shared knowledge, etc. Here you can read a good example. How do we handle vacations at ShuttleCloud? We have a designated slack channel only for them (we’re a small team). In it the team talks about what days they want to go on vacation. The idea is for the team to organize themselves. In that channel we even propose what people should rest because we think they’re exhausted, tired or whatever. We’ve changed our vacation policy several times and we analyze them constantly. And of course, every time the policy is going to be changed, the whole team participates and gives their feedback. As managers one of our biggest responsibilities is to take care of the people we are responsible for. Being sure they have the means to do a great job is one of our responsibilities, and the most important part in order to do that is to create the right environment. “Research suggests that there are two fundamental paths to influence: dominance and prestige. When we establish dominance, we gain influence because others see us as strong, powerful, and authoritative. When we earn prestige, we become influential because others admire and respect us”. (Give and Take, by Adam Grant). Which one do you think helps to build an environment to avoid burnout? I leave the answer as an exercise for the reader :D.